I’ve been a huge fan of Knomo’s bags for quite a couple of years now and I always am curious to see what they do next. I own a couple of their bags and they’re the perfect blend of style and practicality, protecting your gadgets, while still remaining pretty. Two weeks ago I got invited along to Knomo’s relaunch and press preview event, and obviously I wanted to see their new designs. Well, turns out they’ve re-branded and redone their website, and got a new logo: the Fox, an intelligent and sleek creature, well-travelled and stylish. 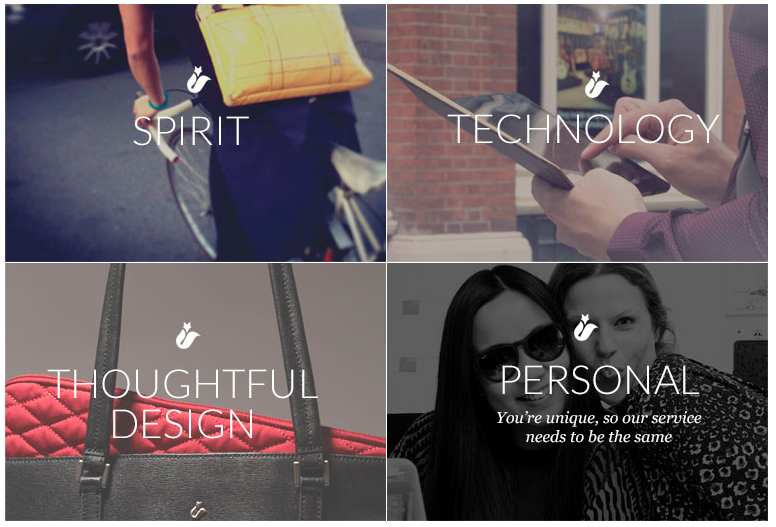 I think it suits the brand perfectly; it’s adorable, pretty and smart, just like their bags! At the event they also gave a sneak peak of some of the upcoming Autumn/Winter designs and I can’t wait to share some of them with you, when they properly launch. 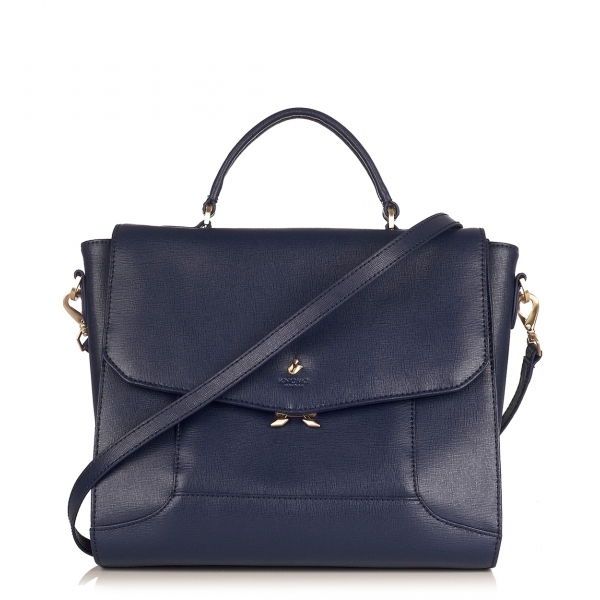 For now, you’ll have to do with two new lines: the Fitzrovia and the Marylebone collections. Both collections feature the new Fox logo and the relaunched Knomo ID, a new way to register your bag. A lightweight slim briefcase with quilted protected compartment to hold a laptop up to 14″. Available in three colours: black, marine and black cherry. 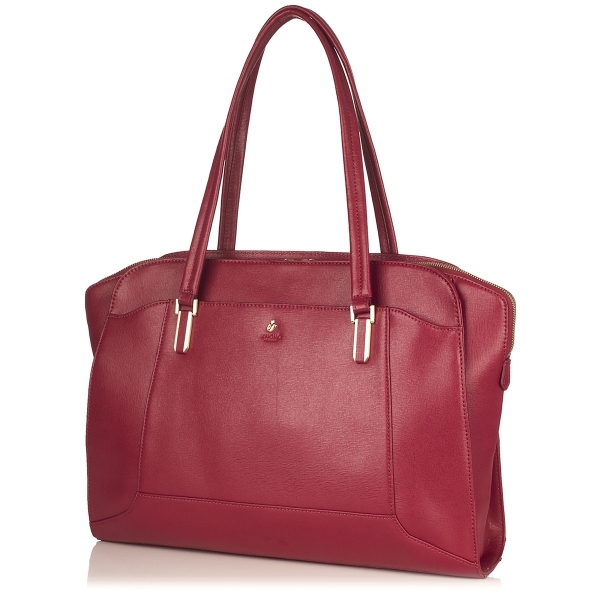 A handbag with detachable shoulder strap with a lightly quilted compartment to protect an iPad/Tablet up to 10″. Available in three colours: black and marine. 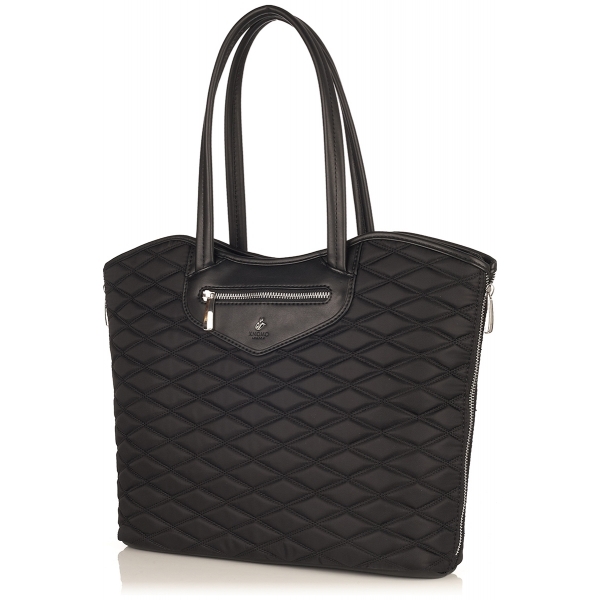 A slim over-the-shoulder bag with a quilted protected compartment to hold a laptop up to 13″. Available in three colours: black, marine and black cherry. Gorgeous, right? Each of the designs above have one padded compartment for a laptop/tablet, and enough little compartments and sections for all of your other gadgets and gizmos. I can’t wait to get my hands on these and try them out properly! Btw, if you’re around London next week, Knomo are holding a sample sale on the 28th, 29th and 30th August! It’s running from 9am till 7pm at The Music Rooms, 26 South Molton Lane. For full details, check out the Knomo blog. It’s interesting to see how far technology has come in so little time. It’s slightly more than 10 years ago when I started university and I’m just amazed at the differences! I didn’t even have a laptop when I started out, while kids nowadays are spoilt with the choices they have. I’ve always wondering though what I would have done if I had to choose between a laptop and a tablet. Which of the two would have been handier for me during uni? I love the idea of the HP Envy x2: a notebook with a HD Touch display that can be used as a tablet as well. Sigh, this would have made my life so much easier back then! I sometimes get to do ridiculous awesome stuff through my blog. A few weeks back I got invited by O2 Business for an exclusive experience to promote the new Sony Xperia Z. Now one of the main selling points of this Xperia is that it’s waterproof… Unlike some of the other companies who showed off the waterproofness by dunking it in glasses of water (cause you know that’s really a situation I get into all the time), O2 decided to feature the phone in a different way: a speedboat trip down the Thames. Once we were actually on the water though I was so glad for those extra layers: it was freeeeeezing AND it had just started snowing! It was so much fun though. Up to Tower Bridge, the boat needs to stick to certain speed limits; after Tower Bridge: wow. By then it had started snowing more and it was just exhilarating going so fast and feeling the snow on your face. Plus the boat didn’t stick to just speeding in a straight line; it was doing all kinds of dodges and spins which I’m sure have much more proper technical sounding terms then dodges and spins. It was awesome. Don’t I look wonderful? I think we spent an hour having fun on the water until we had to head back. 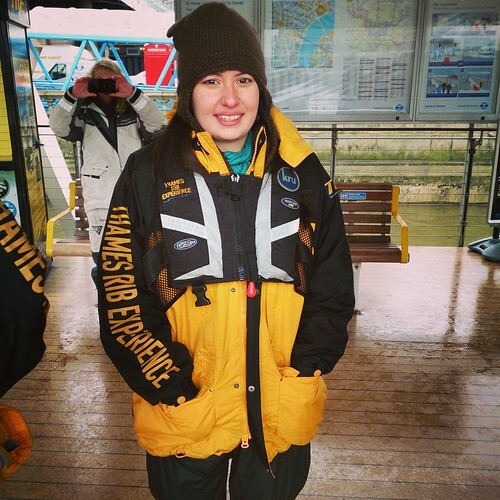 As I said before, I hadn’t thought it was that cold, but once back on land I couldn’t stop shivering. Luckily we got some warn food and hot chocolate to warm us all back up. So that was my awesome speed boat adventure, but I haven’t actually reviewed the Xperia Z yet. Now up till this phone, I haven’t been much of a fan of Android. I think most of the previous handsets have felt too clunky with too many buttons, ports and other stuff that just look tacked on, the OS has been too slow and overall I just have never had a nice experience with them. With the Sony Xperia Z though that’s changed; I’m really enjoying this phone. I’ll start with the “main” feature: the waterproofness. 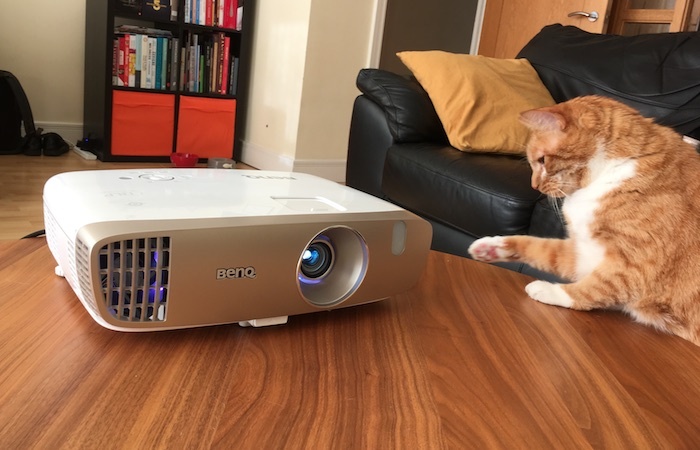 It’s a bit of gimmick, but it does actually work. I don’t think it’s something I desperately want or need in a phone, but now that I have it I am sort of using it. Like whenever it’s snowing or raining outside or whenever I’m taking a bath or shower. It’s not the key attractiveness for me, but it’s a fun extra feature. A direct consequence of the waterproofness though is the design of the handset and I am absolutely loving that. Every single port/slot is hidden away nicely behind watertight covers, turning the entire phone into a nice sleek gadget. There’s only one single button which I have to admit seems a bit out of place, but the rest just feels nice in your hands. 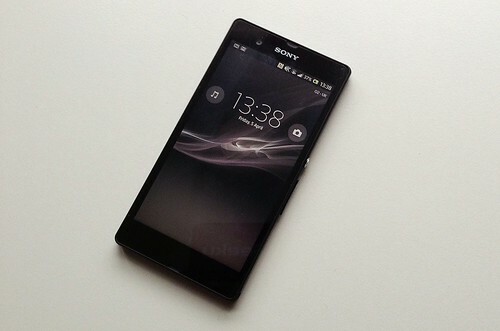 Compared to an iPhone 5 the Xperia Z is a bit on the large side, but it doesn’t feel too big. I do feel a bit weird taking phone calls with it, but for me that’s not what I do the majority of the time anyway. It’s got a great screen for watching videos and the camera in it is awesome. I love the sharpness of some of the photos I’ve taken with it; it’s my favourite phone camera so far. I wasn’t expecting to like the Sony Xperia Z that much, but now that I’ve gotten my hands on it for the past few weeks I have to say it’s a great phone. It hasn’t replaced my iPhone yet, but that’s mainly cause of certain apps I’m using (like Messages, Mailbox, Reminders). I am taking it everywhere with me nowadays and I do notice I’m mainly grabbing for the Xperia whenever I want to take photos. Thanks again to O2 Business for the awesome speedboat experience and for the awesome phone! I love my pair of BassBuds headphones; since I got them, they’re pretty much the only pair of headphones I use (here’s my review from a few months back). The sound is great and I love the look of them (even though I’m still not a massive fan of the Swarovski crystals on them). 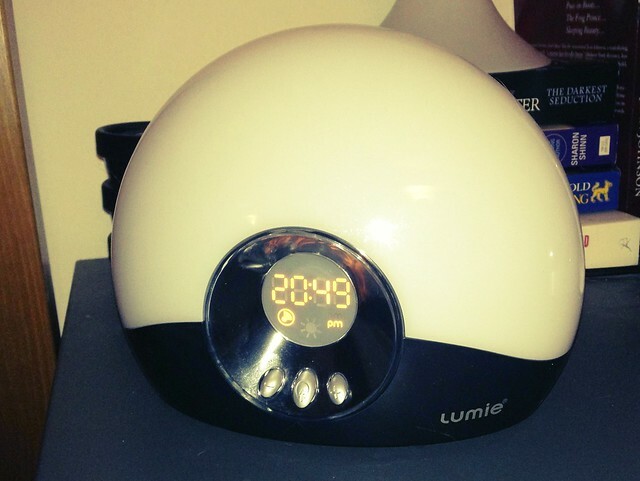 I’ve also just gotten their latest gadget the BassBoomz (a cute bluetooth speaker) which I’m totally loving at the moment. The BassBuds are officially launching this month on the 23rd and to celebrate they’re holding a huge competition! As sponsors of ‘The Show Tour’ they’re giving people the chance to celebrate with them at their big launch party. They’re hosting an exclusive celebrity pre-party including a live fashion show and live music from some of the greatest RnB groups of the last 3 decades. If you want to be in with a chance of winning one of over 100 other prizes, simply head on over to the BassBuds competition page. Besides those three main prizes they’re also giving 100 sets of BassBuds away! 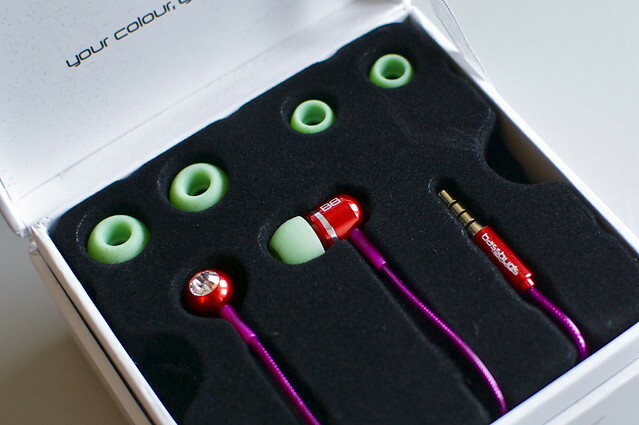 So head on over to the BassBuds competition page for your chance to win! A few months back I got asked whether I’d like to try out IdealCases.co.uk, a site to create your own personalized phone, tablet or e-reader case. I’ve been trying out different types of iPhone cases, hoping to find my perfect case. So of course I leapt at the chance to see how IdealCases worked and how my own design would turn out. Designing your own case on IdealCases is pretty simple. First you need to select which gadget you are making the case for. They allow for quite a range of devices: Apple iPhone/iPads/iPod, Samsung Galaxy, Blakcberry Bold, Kindle and Nook. Then you need to choose which type of case you want. This does depend on what gadget you’re creating a design for; not every case is available for every gadget. As far as I can tell, for most smaller devices you can only choose their plastic clip on gloss case (£12.49), while the bigger “readers” (like the iPad, Kindle and Nook) also give the option of a faux leather flip case (£29.99 – £39.99). The above case looks great, right? The iPhone clicks nicely into the case and you have easy access to all the buttons and ports. Unlike some of the cases I’ve tried, it is obvious that you’re using a case, but I love how unique it is and how it’s a great piece of marketing material for me. I do have to mention though that this wasn’t the first case that they sent. In the first one the colour somehow got wrong (it was a bright pink! ), but for the rest the look and feel of it was pretty much the same. I do like how quick IdealCases were to respond and fix the mistake. I love how the case turned out and I always make sure I’m using this case whenever I go to events. 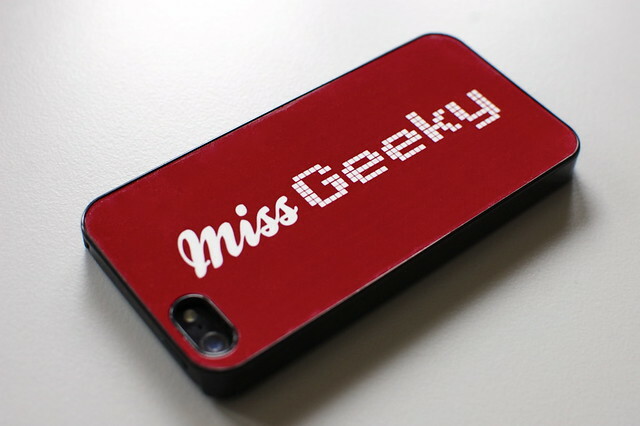 Each time I’m at an event and take a photo, people will notice my Miss Geeky logo! Disclaimer: The IdealCase was provided to me for review, free of charge. I love trying out iPhone cases! There are just so many different styles out there and it’s great seeing how each one works for different situations. The iPhone wristlet from Capulet is the type of case that replaces your purse/wallet, with space for cards, money and keys. 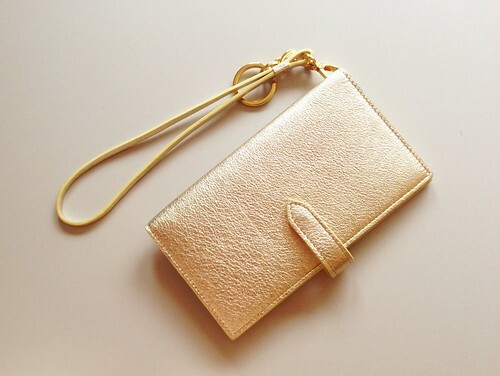 The Capulet iPhone 5 wristlet has a silky Italian leather casing and a soft suede lining. It comes in a wide range of colours/patterns: copper, gold, green, tan, sunset red, seashell white, powder blue, cobalt, jet black, snakeskin and python print. Depending on the colour it can range from £169 to £249. It’s a gorgeous and luxurious case; it feels so soft and smooth! Inside there’s space on the left to fit your iPhone comfortably. It’s designed to fit an iPhone 5, but I think it should work for previous iPhones as well. On the right there’s slots for four cards with a pocket behind it for money and other flat stuff you might want to carry. 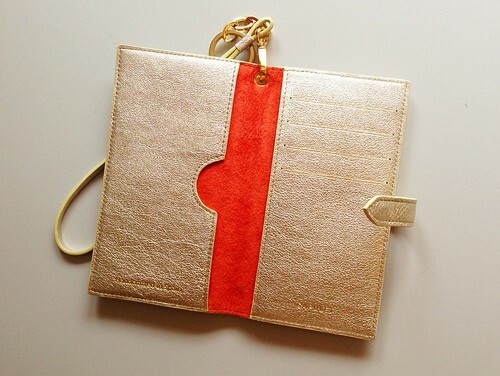 Finally, on the back of the wristlet is a small coin pocket. I love the look of this case, but it’s just not what I look for in an iPhone case. I almost brought it with me to the BAFTAs, but I also wanted to bring along extra batteries and lipstick. I can imagine it being perfect though for a night out where you only want to bring one small case/bag/clutch with you. It fits all your basic essentials: phone, keys, money. Disclaimer: The Capulet iPhone Wristlet was provided to me on loan from Capulet. All thoughts and opinions are my own. I love my mobile phone. It's one of those things that I'll always make sure I have on me, never leaving the house without it. At home it's never more than a few meter away from me, keeping me in constant contact with my friends, Twitter and other social networks. When I go out and on the go though, it's stuck in my bag, banished to the deep dark pockets of oblivion. I ALWAYS miss phone calls and text messages, and forget to check Twitter/etc. So I quite like the idea of having a watch that will connect to your mobile phone to keep you aware of these things. The I’m Watch is a bluetooth smart watch with touchscreen that connects to smartphones to deliver calls, text messages, e-mails, and other apps directly to your wrist. It runs Android itself and should work with most iPhone and Android mobile phones. There are 3 versions: the Colour i'm Watch with a lightweight aluminium body and 7 different colours ($389), the Tech i'm Watch with a titanium body ($1049) and the Jewel i'm Watch with gold or silver body ($16990). 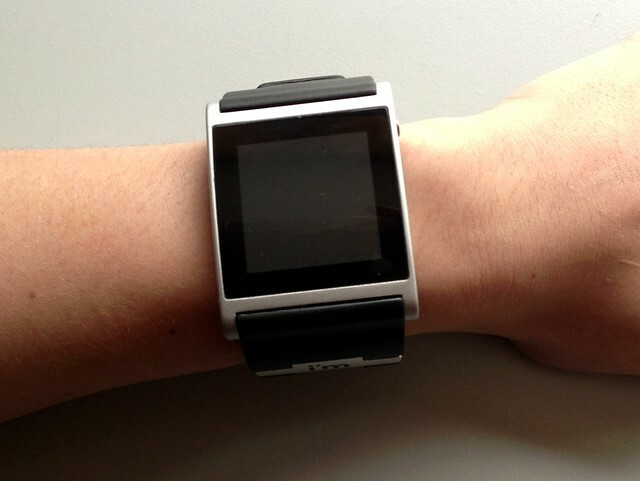 I got sent an i'm Watch to try out myself and it looks interesting. I'm not sure this is the right fit for me, cause with my tiny wrists it looks a bit too big (see picture below). If you're going for a more geeky look though (and if you have normal wrists), I think it could look great. I'm very curious to see how this smart watch works. Sadly though at the moment I won't be able to use it with my current iPhone 5, cause Apple don't allow tethering on Giffgaff (seriously Apple, sort this out!). If you have an older iPhone or an iPhone 5 that does allow tethering/personal hotspots, you should be able to use the watch. I'll be trying it out with another phone next week, so stick around for my review! Disclaimer: This is a sponsored post. I'm provided me with a black Colour I’m Watch for review purposes. All opinions are my own.